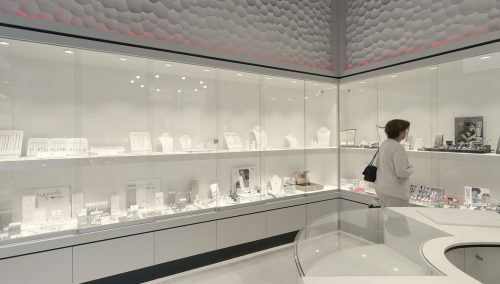 Kirchberg: Bigor is a Luxembourg jeweller with a dominant position in the national market. 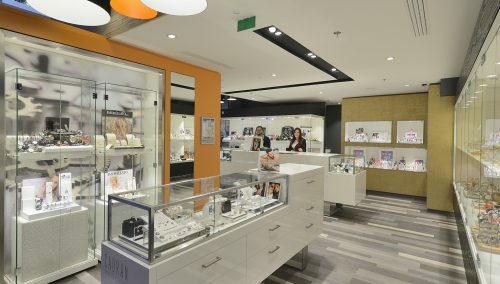 WSB created the first store of the new Bigor concept in the Auchan shopping centre in Luxembourg City. A transparent link from outdoors to indoors entices customers to go inside – compact success on an area of 53 m2, featuring clear routing. Customers like spending time and buying there. 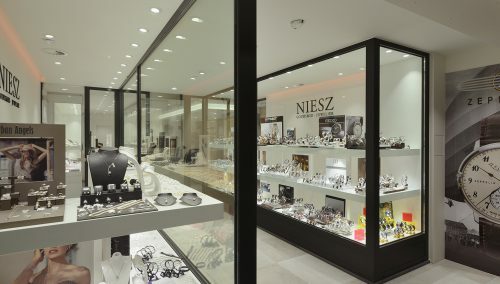 A store with a clear layout at a new location that immediately makes a significant contribution to turnover.